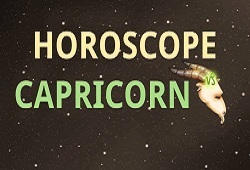 Every man born between 22nd December and 20th January is categorized into the tenth sign of the Zodiac – Capricorn. Does the birth as a Capricorn man make you feel proud? Whatever your thoughts and reactions, understand that a person’s Sun sign is fixed from birth and none can change such the fact. Hence, the deep self-knowledge deciphered from Zodiac sign based on your date of birth is what you need to reach the summit of achievement in life. Let us draw your attention to the Capricorn man positive traits so that you can pursue the life missions with a big win. Being gifted with the great stability and wisdom, Mr.Capricorn is able to get what he wants if he really attempts to make transformation. The Goats are unlikely to give up in the midway; therefore, they tend to act aggressively to achieve the predetermined goals by boosting their positive personalities including practical, ambitious, wise, disciplined, and patient. First of all, it is mentioned the Capricorn man’s practical nature. 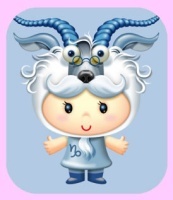 As the typical Earth sign, the Capricorn naturally gets involved in the true meanings of life via various reliable acts. Instead of working with intuition and sensitivity, the male Goats are fond of analyzing the facts to finalize the choice. In that sense, they never sense the world via the rose-colored glasses. Actually, they attempt to keep themselves down-to-earth throughout the life-span. Next, note that Mr.Capricorn is very ambitious. In that sense, he confidentially generates the big goals to call for the whole efforts and get things fulfilled. The outsiders tend to judge that the male Goat is very strict and fussy. However, let’s face the fact that his ambitious personality empowers him to achieve the large goals and grow positively day after day. That also helps to secure the future for his family. As a result, it is the big luck if having a Capricorn husband. Meanwhile, he is wise and smart enough to carry out lots of constructive plans. Friends and people around also come in quest of his advice and tip to deal with their daily difficulties. With the innate disciplined and patient characteristics, the male Goats find it easy to work with the public to show off their competence. To gain respect from the others, they focus the whole energy on the desired cases to get all things resolved well with the strict discipline. 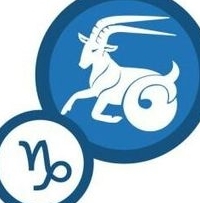 Though it takes time to accomplish the goals, the Capricorn man is very consistent to pursue them with the hard try. Freely send the inquiries of the subject “Capricorn Man Positive Traits” to us via the following designated online textboxes.